Today we have a darling collection of 14 Ballerina Pictures – FREE for you to use! I’m always on the lookout for wonderful Ballerinas photos! I just love this assortment of Ballerinas in various poses. All are vintage images that are aged to perfection. We have adult Ballerinas along with Ballerina Girls. Many of our Cute Ballerina Pictures have wonderful Sepia Tones, which are perfect for your Collage or Mixed Media Projects. Or perhaps you could transfer one onto a Tote Bag as a lovely Gift for your favorite little Ballerina Dancer! 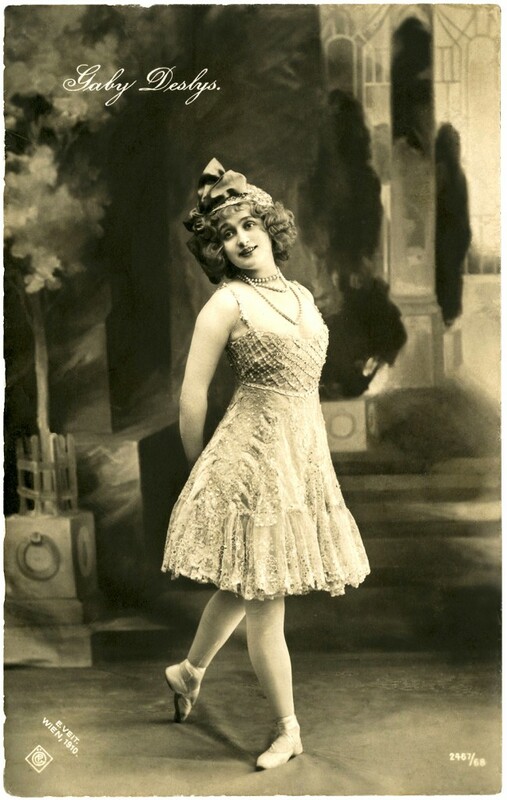 Pictured above is a wonderful Vintage Ballerina Photo Card! 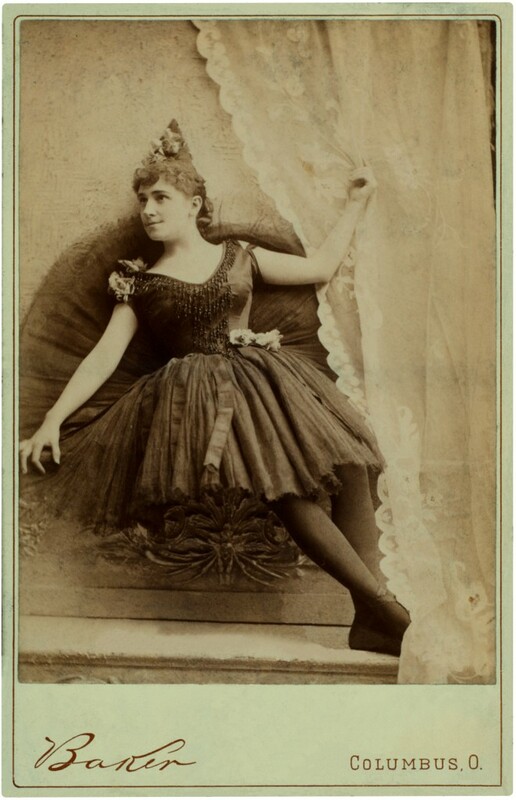 This appealing card shows a French woman named Gaby Deslys, who apparently was a Dancer, Singer, and Actress. I think she looks beautiful in her Lace Ballerina Costume and traditional Ballet Shoes! Oh, be still my heart!! I so love this one!! These vintage ballerinas are posing in perfect symmetry along with matching outfits and shoes. I think they must have actually been very talented dancers. It is really quite the perfect image! 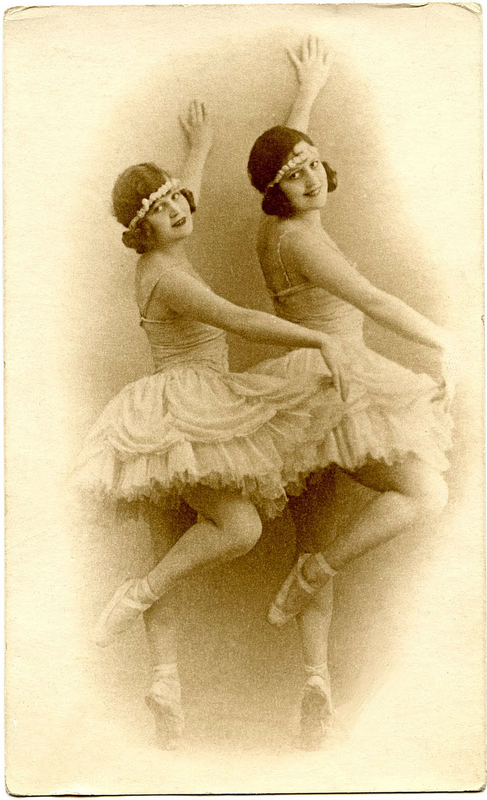 This is a nice ballerina card with an actual photo showing two pretty sisters wearing fancy dance costumes. The detail on the costumes is incredible, with lots of lace and flowers and big beautiful bows on the back! This is the Prettiest Ballerina Girl Photo!!! The photo of this little Girl is so breathtakingly beautiful! 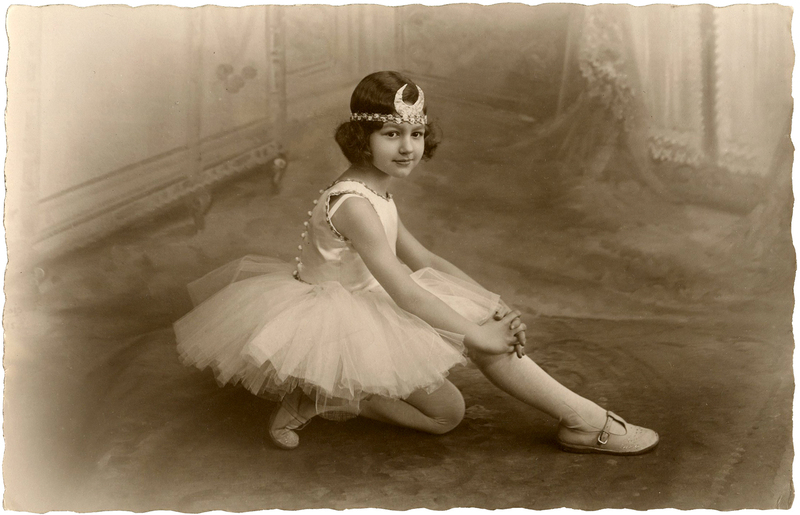 This wonderful black and white vintage photo postcard shows a darling Girl wearing a White Ballerina Tutu and a Crescent Moon Crown in her hair! Here we have a Cute Ballerina Picture of a little girl doing the Splits! 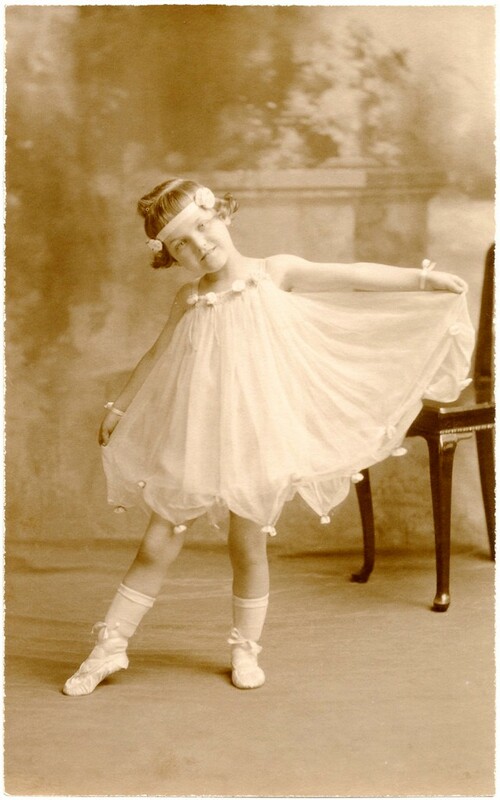 This is an Old Photo Postcard featuring a cute Ballerina Girl wearing a full Tutu, some pretty laced up Ballerina shoes, and a fancy floral headband. Can you believe this pose? These old photos took quite a while to take, and she may have had to stay in that pose for quite some time. She seemingly doesn’t mind though as she has such a sweet expression on her face. Seen above is a splendid Vintage Ballerina Photo of a little Girl dressed in a Ballerina costume, with Tutu and ballet shoes! She’s also got a big fancy bow in her hair. The girl is posed in a splits position, which doesn’t appear very comfortable. However, she’s still smiling! 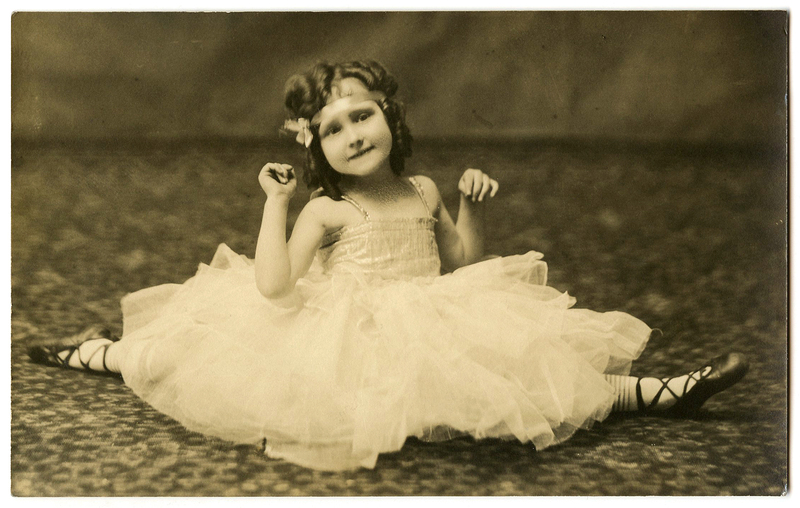 This fabulous Antique Postcard shows a little girl in a Ballerina Costume. She is wearing a full Tutu that she’s holding in her hands in a classic Ballerina pose and is even standing on the very tips of her Ballet shoes! She looks quite young doesn’t she? I wonder if she continued on with her dance career later in life. 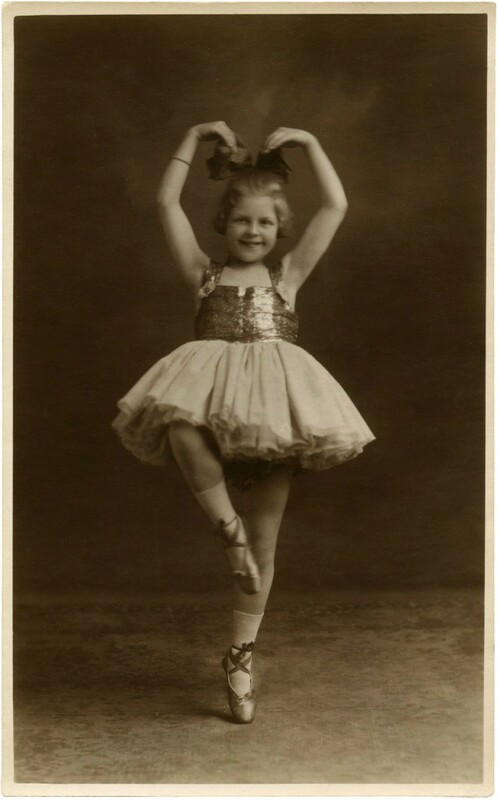 This is a darling Old Photo of another Ballerina Girl! This is a sweet Antique Postcard showing a little Child dressed in a flowing Dance Costume that’s embellished with pretty little Rosettes! She’s wearing a matching headband and white ballet slippers. Such a sweetie! 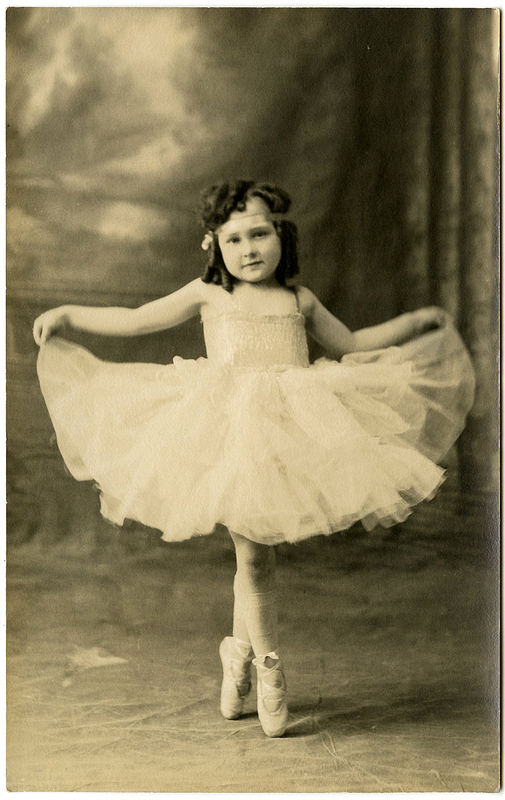 Pictured above is a Vintage Ballerina Child Photo! Isn’t she precious? This little dancer girl is wearing her prettiest Tutu and Ballerina toe shoes. She appears to be making a heart with her hands. Such a cute pose! 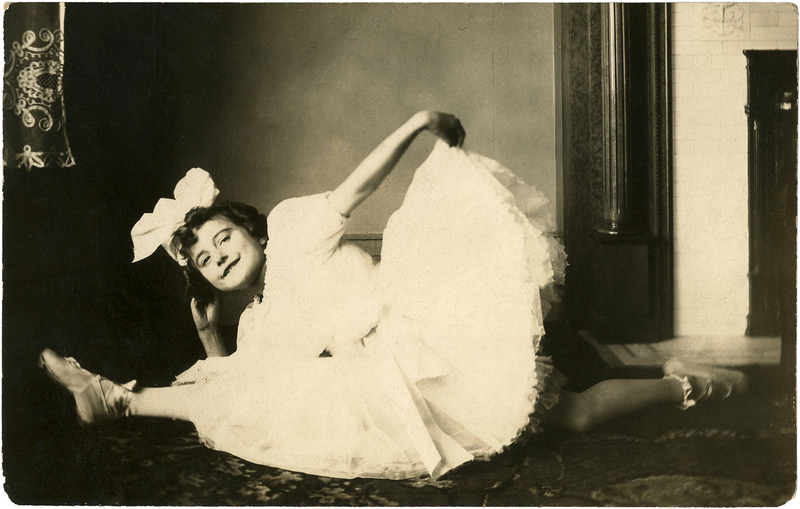 Here we have a Vintage Cute Ballerina Girl Photo! This is such a darling picture of a sweet little Girl dressed in a Ballerina Costume … tutu and all! She’s balanced perfectly on her toes! Every once in a blue moon I find a fabulous Ballerina image like the one above! 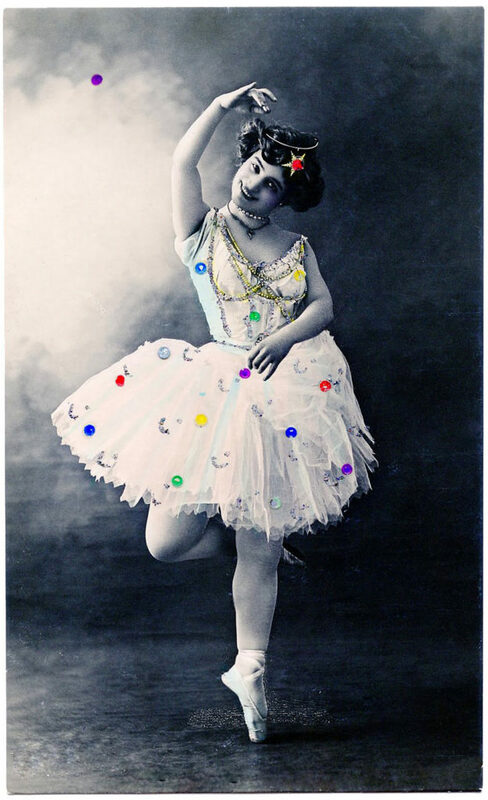 This Ballerina is so special with the colorful glittery accents on her tutu and the lovely star crown on her head. Such a pretty face too! I hope you can find some uses for her in your art! Isn’t this fun?!! 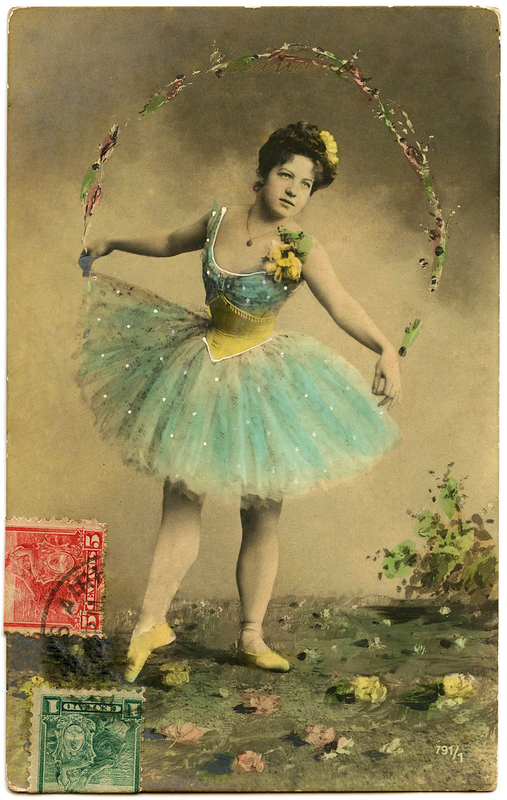 Here we have a cute Ballerina Postcard. I love the colors on this one! She’s wearing an Aqua Tutu with Yellow accents. She’s holding up some sort of painted Garland that matches her costume. There are 2 Antique Postage Stamps on the front of the card. I left them in place, because I like the look of it all together. Featured above is a Gorgeous Vintage Ballerina Black Tutu Photo! This is such a wonderful picture showing an attractive Woman dressed in a Ballerina Costume. 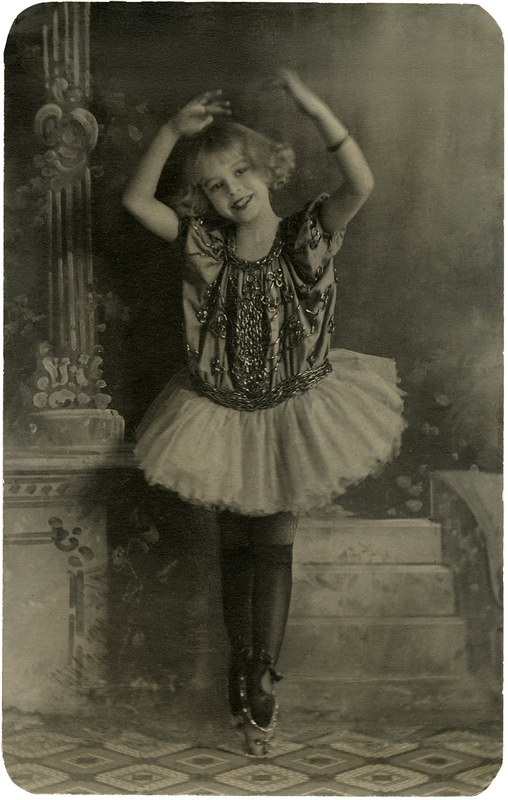 She’s wearing a black tutu, which you don’t see very often in these old Photos! Here is a splendid Vintage Ballerina Ephemera Postcard! 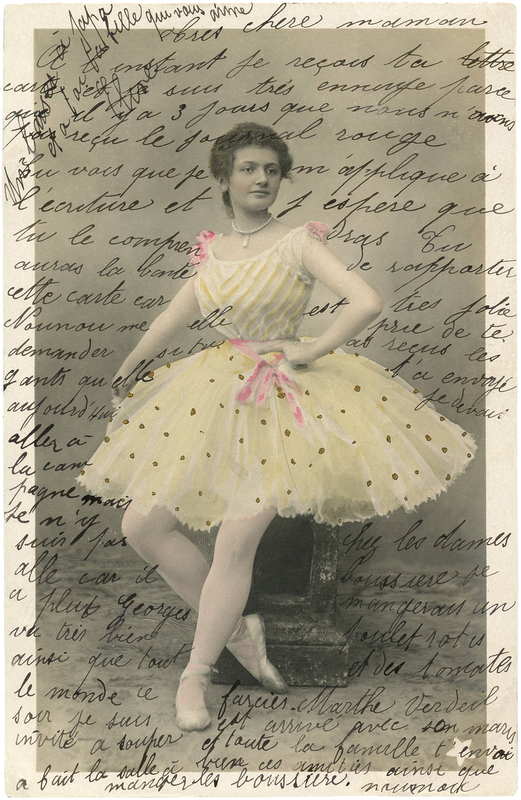 This card shows a Ballerina dressed in a White Tutu with Gold dots on the skirt and Pink bows adorning her waist and shoulders. Someone has written a message in French all over the front of the card, which I think makes it extra special! I hope you enjoyed this fun curated collection of 14 Ballerina Pictures.!!! You might also like our 50+ Best Blank Labels HERE. 7 Vintage Group Photos of People! 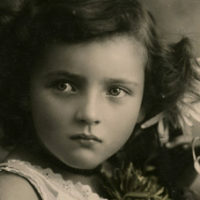 17 Vintage Photography Children – Sweet Girls! Vintage Photo Woman With Arms Crossed Image! « HGTV Toile Plates Project + Images! what a beautiful image…thanks for sharing her!!! These beauties look so graceful and delicate. I love these sepia tones of graphics — they really look so nostalgic! Thank you for finding these and sharing them with us! !